Anonymous reviews are critical for many organizations. Employees are often hesitant to give constructive feedback knowing that the reviewee will see who gave that particular feedback. On the flip side, other organizations find that anonymous reviews can take away important context from the feedback. In building anonymity controls, we’ve kept these different dynamics in mind and have ultimately decided to keep it flexible and in the admin’s control. Now, when running a review cycle an admin can decide whether the review cycle should be anonymous or not by simply checking the anonymous box in the create review cycle flow. When this box is checked, managers will still be able to see who wrote what for their direct reports, but the feedback that’s shared with the reviewee will be anonymized. In our initial version, managers couldn’t see the feedback on their direct reports until the review cycle was closed. 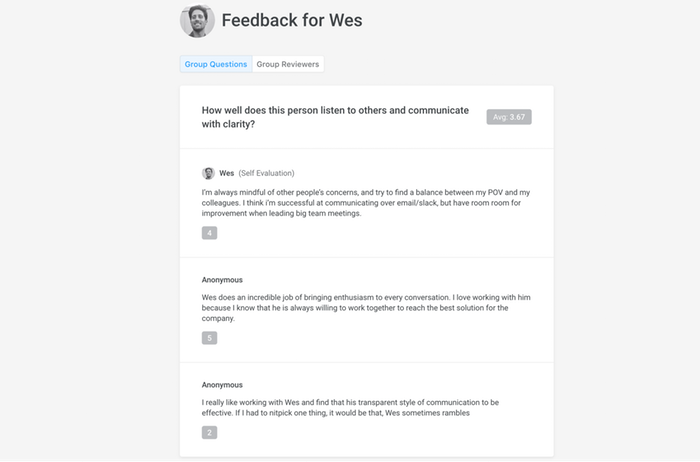 This presented challenges, since people couldn’t see how the review cycle was progressing, and managers often wanted to see self-evaluations or peer feedback before writing their review.To address this, we now give the option for managers to see feedback as it comes in, so there is more clarity throughout the process. OKRs / goals are an important part of a well-run company. They establish clear priorities, align people and teams, and help maintain transparency. 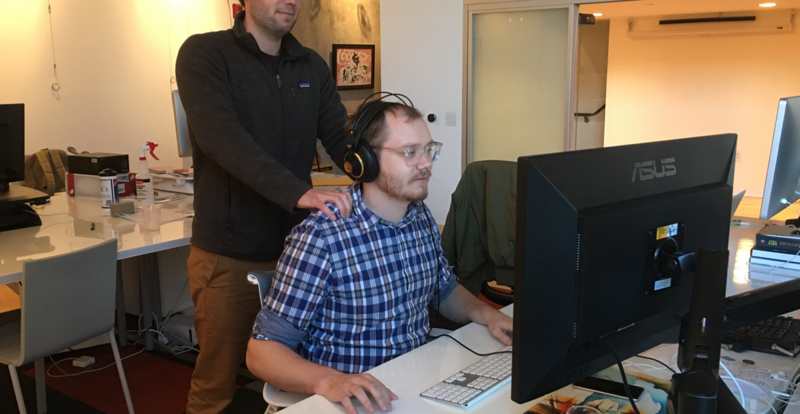 We’ve learned from our customers that while vertical alignment is important, horizontal alignment is just as key. People need to see not just how goals rolls up, but how they associate with other teams’ and individuals’ goals. After discussing many ways to address this, tagging emerged as a clear solution. It’s a pattern users are familiar with, and it gives teams the flexibility to associate goals with each other at all levels and across all departments. By creating tags, companies create different themes that connect disparate goals. In addition to horizontal alignment, goal tagging also helps improve searchability across your goals. Now, anyone can simply filter by goal tags to see, for example, all the goals of the engineering team that relate to career development. To use this functionality, go to the “All Goals” tab in the sub-nav and filter by your desired tag. 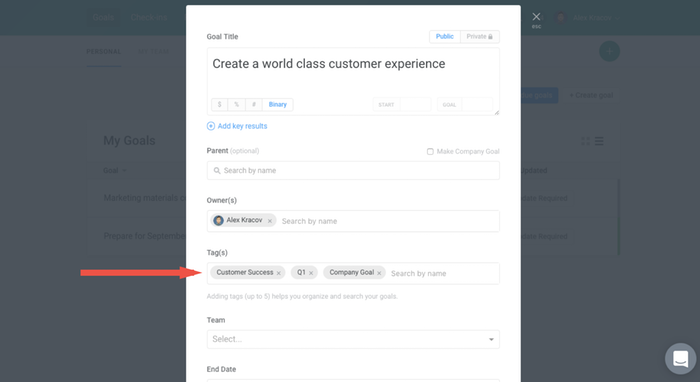 We hope that goal tagging makes your Lattice experience more flexible and gives you the ability to align both vertically and horizontally, so you can find related goals across your company easily. Organizational design is important to every company -- how people are connected determines the prioritization of work. This starts with giving leadership an understanding of how people are connected and the reporting relationships across the company. To help provide leadership with this company wide view, we’ve built an Org Chart that shows how your company is connected from the executive team down to the intern. We’re working as fast as we can to thoughtfully improve our product offering with the goal of helping make companies great places to work. As we release new features, we’ll continue to communicate updates and ask for customer feedback. If you have any ideas or requests, or if you just want to talk, please send us an email at support@latticehq.com. We’d love to hear from you.